Trimpro WorkStation Bud Trimmer - ON SALE! - FREE Shipping! The Stainless Steel grate is just 1/16 of an inch thick allowing for an even closer cut. The circular hand movements and downward pressure ensures each flower is trimmed to the operators desired level of perfection. 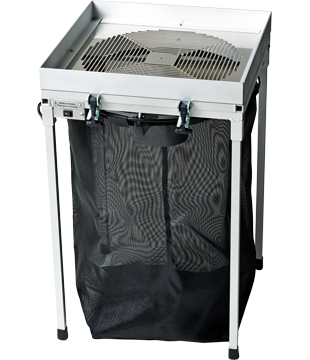 Mounted structure: 18" x 18" x 29"
Packaging: 21" x 21" x 12"
Stainless Steel (STD): Slots size 1/4"